Welcome to our top 5 alternative health sites countdown. 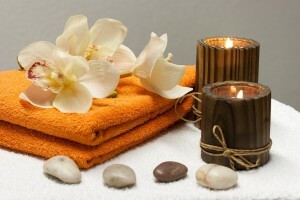 This week we have 5 awesome alternative health sites, and they are from the aromatherapy category. Hello everyone, we are back with 5 more awesome alternative health sites. Hope you enjoyed our last issue of Top 5 Alternative Health Sites countdown, which was in the Ayurveda category. In this issue, we have 5 more amazing sites from the alternative health realm. Our countdown is based on Alexa ranking, and our category in this issue is aromatherapy..
Top 5 Top Aromatherapy Sites Based on Alexa Ranking! Aromatherapy is a unique alternative healing technique. It uses natural oil extracts which may be used by rubbing onto the skin, inhaling in a vaporizer, used as non-toxic household cleaners…. the list goes on. These essential oils are prepared from extracts of flowers, fruits, and herbs which have a multitude of therapeutic properties and uses. Enjoy our selections below! Loving scent is a simple and yet informative site owned by Cynthia J. Loving, an instructor in Clinical Aromatherapy and a Licensed Massage & Bodywork Therapist. She started her journey in Aromatherapy in the mid 1980’s; and by 1990, she secured her place among the master practitioners from around the globe. This is a great site for learning about all aspects of aromatherapy. It offers online classes, and has articles and information for a general audience. It also has an online shop, where you can purchase aromatherapy products. The West Coast Institute of Aromatherapy offers aromatherapy courses and education. You will be able to learn all you need to know about how to use essential oils safely and effectively to boost your health, in the comfort of your own home. The East West School for Aromatic Studies is an online school that offers aromatherapy courses. It’s developed by Jade Shutes, who has been a reputed aromatherapist since 1990. This school can help you become a certified aroma therapist and also help you gain knowledge and work experience with its connections and resources. National Association for Holistic Aromatherapy (NAHA) is a reputed aromatherapy organization in the United States that aims to advance the knowledge of aromatherapy. The organization has a wide range of resources and educational material to serve practitioners, professional associations, business owners, the media, and the general public. A Spring Detox for Your Home! Our winner this week is AromaWeb based on its popularity (Alexa ranking) and the quality of information presented on this site. This site is founded and operated by Wendy Robbins. This site provides comprehensive knowledge and resources on aromatherapy, that I’m sure everyone will find useful. Aromatherapy is certainly an interesting field in the alternative health realm. Learn and practice these techniques and I’m sure they will benefit your health in unexpected ways. We’ll be back with 5 more sites in our next issue, where we’ll do a countdown within another category of alternative health. Until next time, stay well and stay healthy. P.S: To learn more, join us on our weekly webinars where you may ask any health questions you have. Click here to see our next scheduled webinar.